Positive Money are pointing out two inaccuracies (while otherwise recommending the article). "Zero Waste is a goal that is ethical, economical, efficient and visionary - guiding people in changing their lifestyles and practices to emulate sustainable natural cycles, where all discarded materials are designed to become resources for others to use." The Paris Climate Deal is a historic step, heralding an end to the era of fossil fuels. But, it’s not perfect. Many of us are asking why the deal failed to make real progress on protecting the rights of indigenous people or tackling deforestation, and why it took so many years to get a deal in the first place. 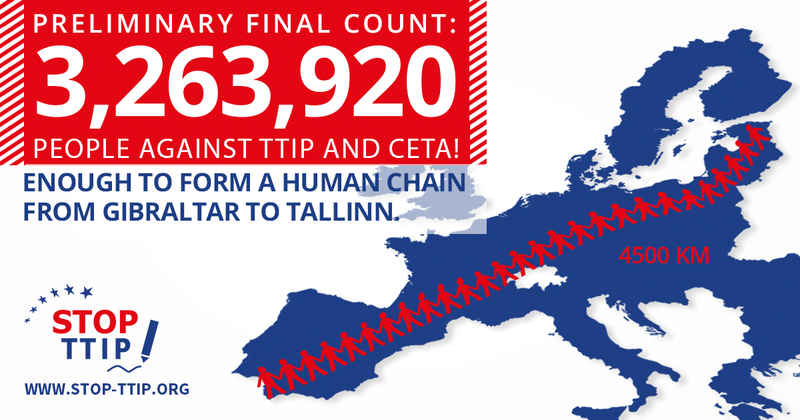 Stop TTIP - 3,263,920 people across Europe sign the petition against international trade agreements! You are invited to a screening of the documentary 'Jekyl Island: The Truth behind the Federal Reserve' by Bill Still. This will be an inspiring event which also gives real, practical solutions! How do we respond to a humanitarian crisis? In the past year, 3,573 people have died attempting to reach Italy, Greece and Spain by sea. That is an average of ten people a day. This is both a humanitarian crisis and a crisis of humanity. Here are some actions we can take locally. On 14 September 2015, EU ministers will hold emergency talks on the refugee crisis. The ‘Agora’ was the centre of artistic, spiritual and political life in ancient Greek city-states. The intention of the Agape series is to promote a more informed and participative civic life in Northern Ireland.